We're introducing a new series here on Kids in the Capital - every Tuesday we'll be sharing a place that's worth visiting with your kids in the Ottawa region. It could be a store or restaurant, a park, an event/activity, you name it! Have a special place you'd like to share? Submit your ideas to kidsinthecapital@gmail.com. Croissants were warm and fresh, just out of the oven. My daughter gobbled one down in no time, and I enjoyed a really nice coffee. I was encouraged to see several other children there, and a mama breastfeeding her baby. The openness of the place makes it suitable for kids, although it might be difficult to deal with your stroller - I would park and use a carrier or sling instead! Also, the bathrooms need a change table, but they're so clean, I just changed my daughter on the floor! 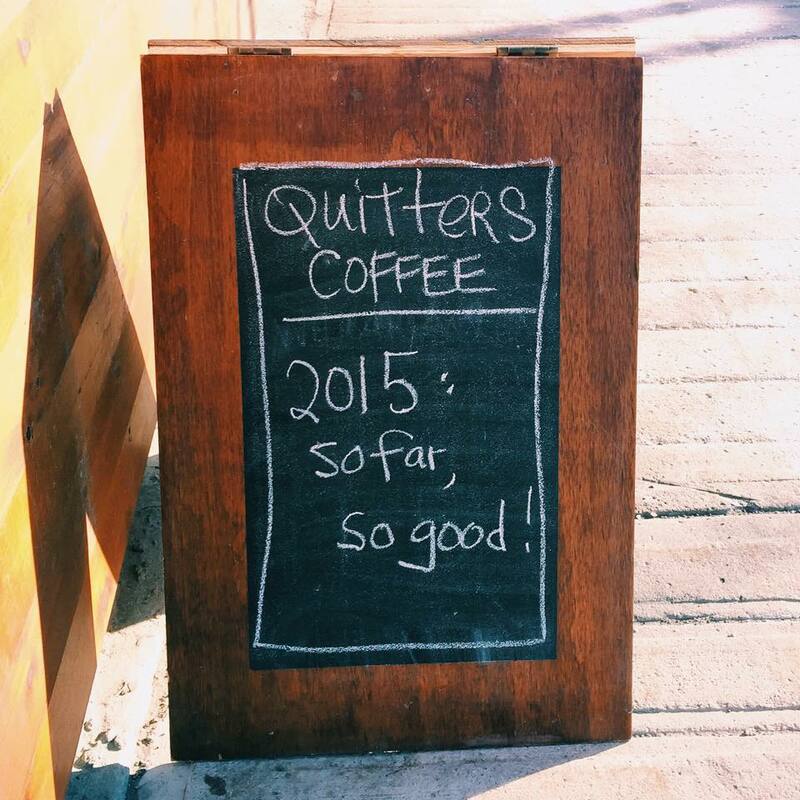 Have you been to Quitters? What did you think?